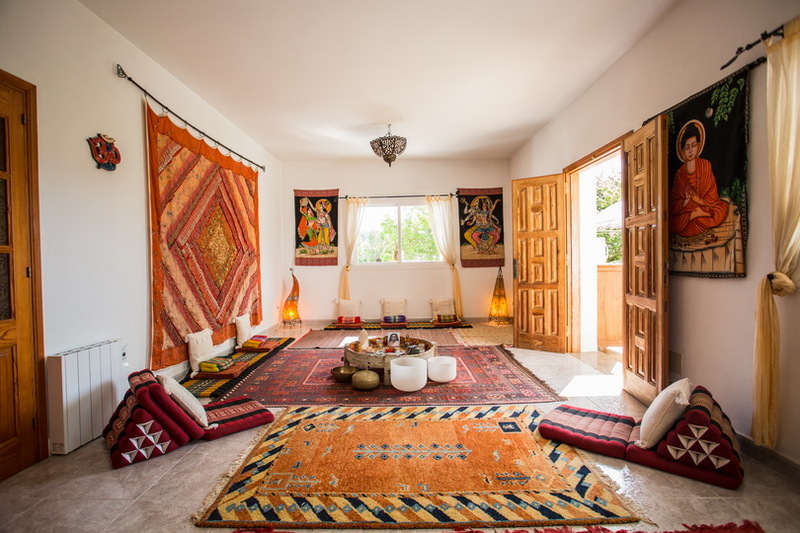 Let the sun shine in your heart retreat is a 6 day immersion in the joys in life! 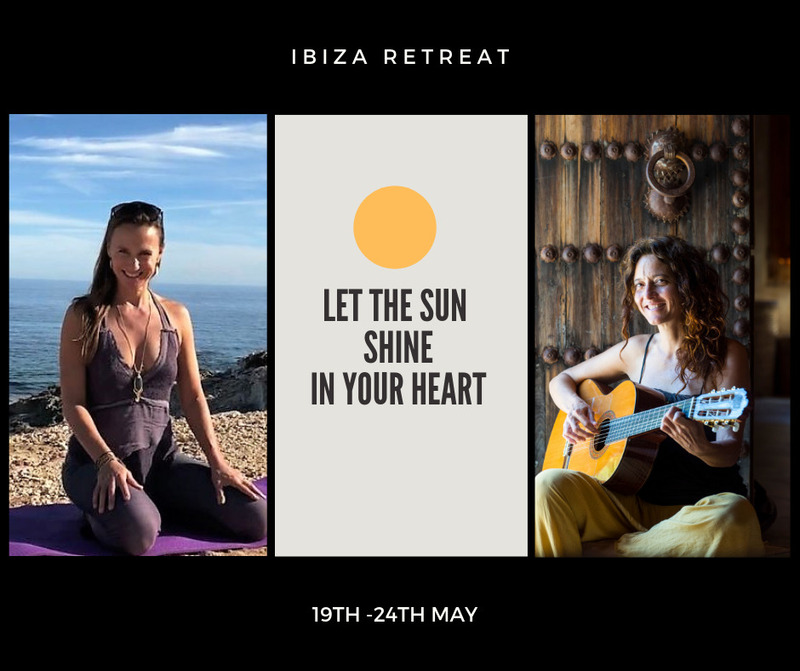 This retreat is connecting with yourself through yoga, meditation, music, dancing, singing and enjoying the beautiful healthy healing nature of Ibiza. We are going to take you on a heart opening journey awakening the senses and bringing awareness to the alchemy of the five elements. 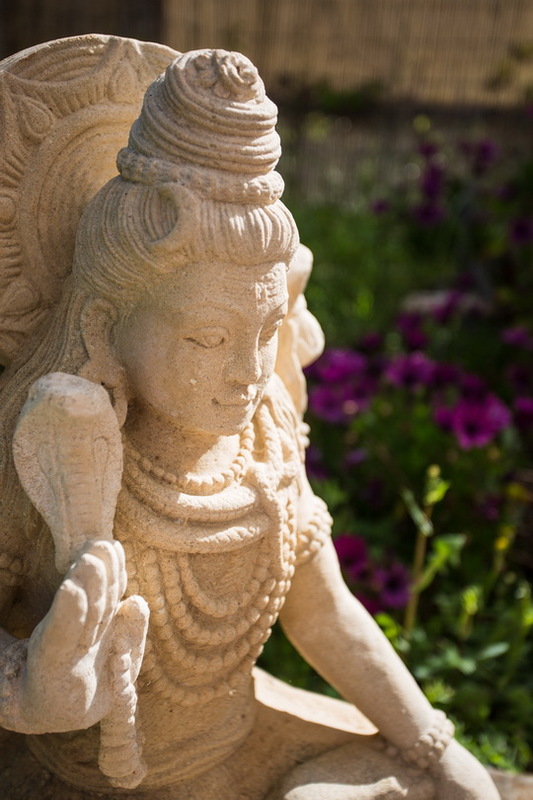 Daily yoga (Hatha Vinyasa, Yin and Kundalini), powerful Sound healing meditations, aromatherapy journey and breath techniques are some of the tools that will be offered to you. 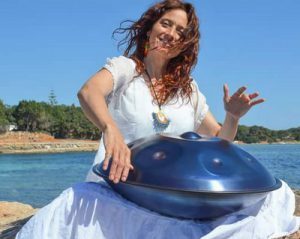 We will fully connect with life celebrating activities as singing, dancing and we will take you on a tour to discover the true spirit of Ibiza in unique and secret walks. 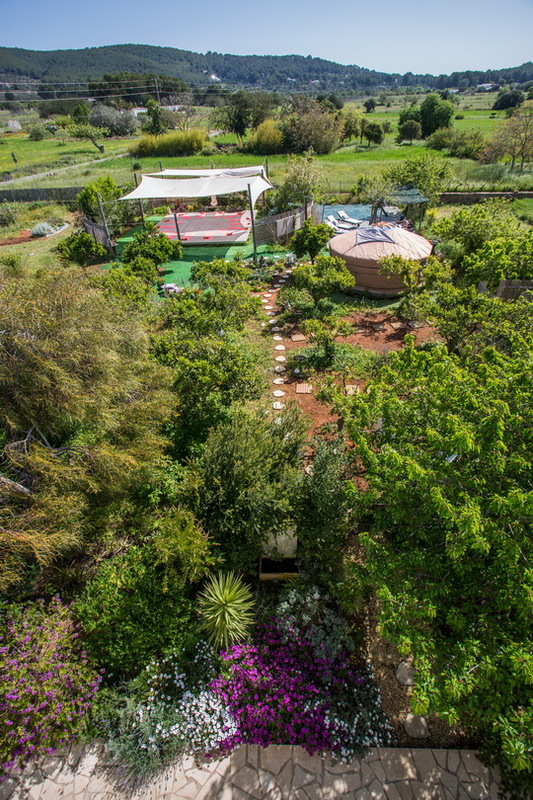 You will receive the daily yoga, mediation and body work activities on the beautiful nature surrounded yoga deck or in the big workshop room inside. 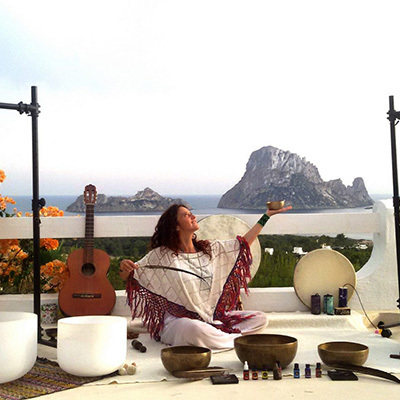 Magical evenings with Sound healing meditations and open hearts singing circles sessions. 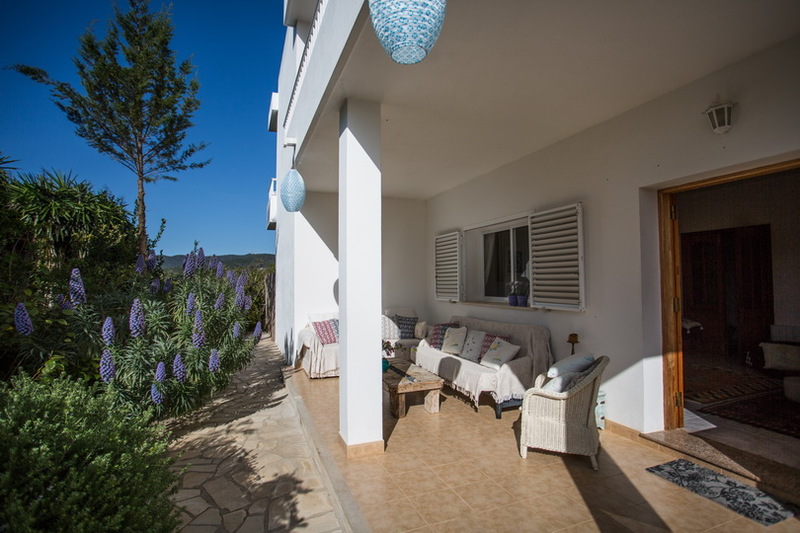 During the hikes and trips you will discover the true spirit of Ibiza. We will bring awareness into the 5 elements surrounding and nourishing us. This Let the sun shine in your heart retreat will raise your vibration. 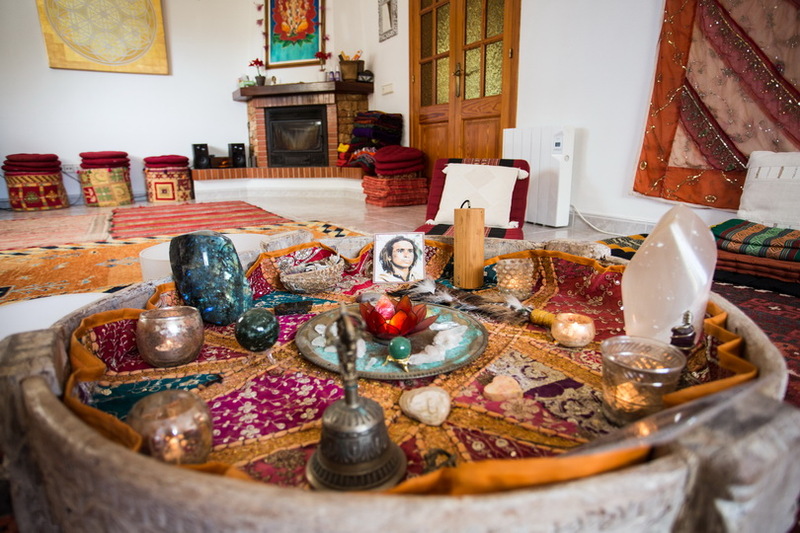 This holiday will be a real treat for all of your senses and will be deeply nourishing for your life energy. 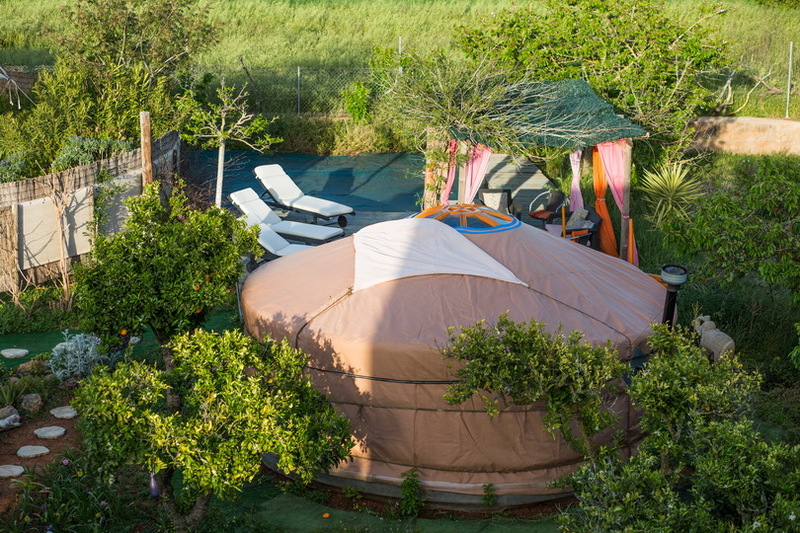 There will be enough free time to explore the Island and visit hippie markets. We would advise to rent a car or share a car. We can organize the communication and organization around that. Our cook Itzak serves delicious vegetarian or vegan food, made and served with that most important ingredient, love. 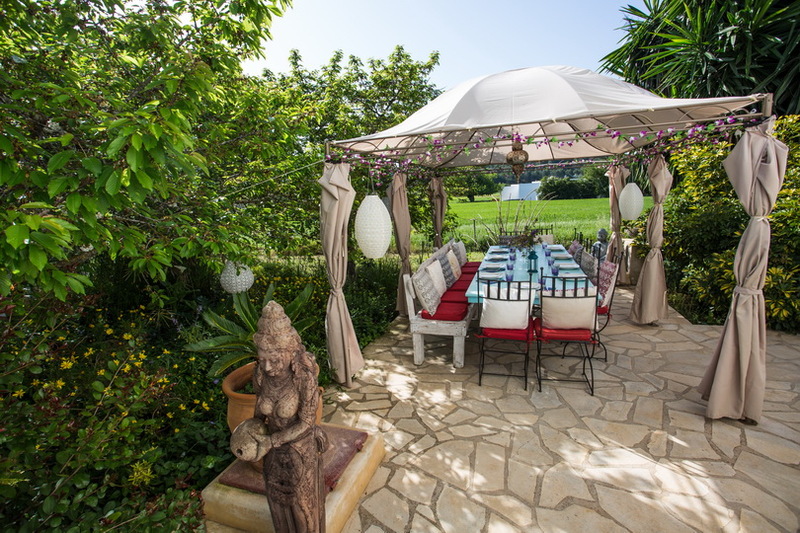 With use of the organic vegetables from our own garden. Gluten and/or sugar-free is no problem. This food is really beautiful healthy and extremely yummie. 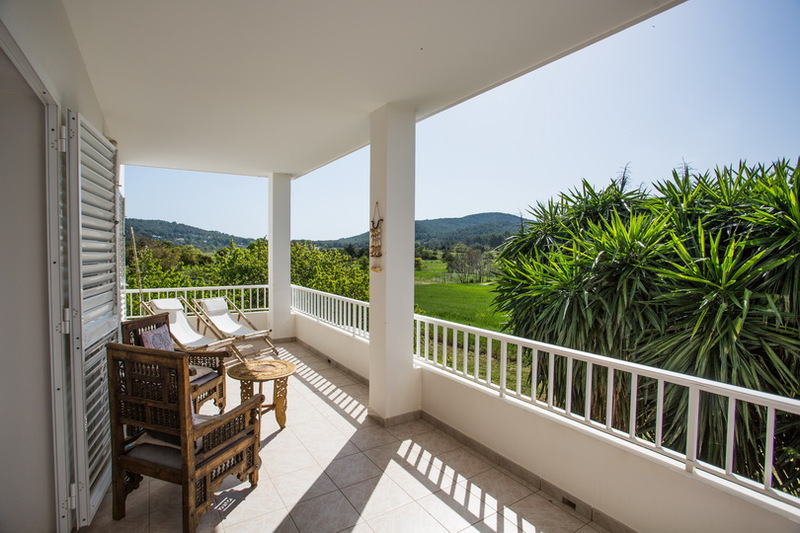 Scarlet has a passion for yoga, Ibiza, nature and well-being in general. Yoga brings you in touch with yourself. 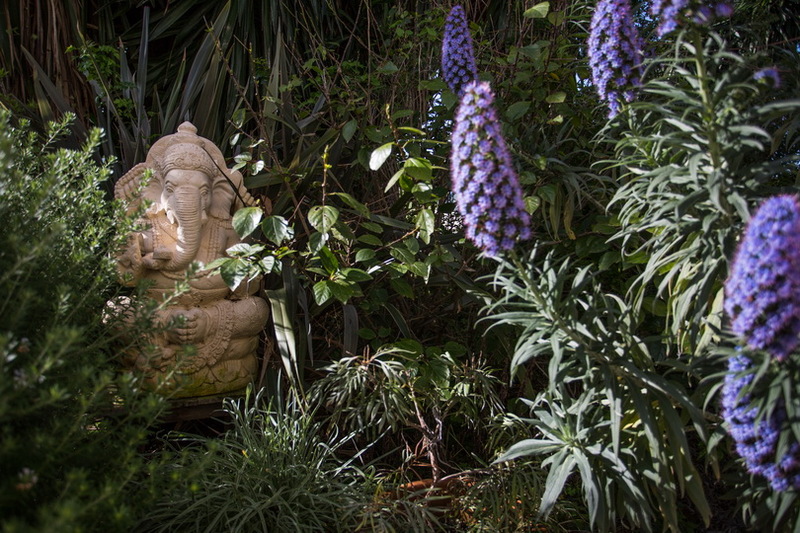 When we practise yoga we get the attention inwards, where all the answers are. We get to know ourselves better and will learn about the emotional waves and the fluctuations of the mind. We learn what to hold on to and what to let go of. By learning the art of letting go you make space for new things in your life that suit your life situation right now. Those new experiences make a new reality. This is the pathway to happiness. Learning ourselves better, loving ourselves to learn to let go and coming more to the true you. Living from the heart. This feeling is what I want to share with the people around me. To be able to live in the present moment and enjoy the true gifts of life such as nature. 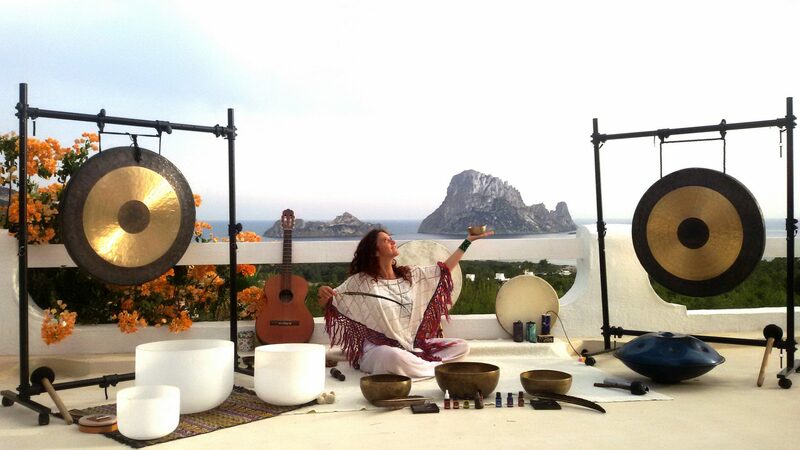 It is my joy to give other people beautiful experiences and feel the healing side of Ibiza. The connection between the body and all that surrounds us has always surprised me, especially the senses which create a bridge which unites universes. That´s why I focus my work by melting the body ( yoga and breathing), the sound (hang drum, crystal singing bowls, shamanic drum, voice…) and 7 chakras Aromatherapy. We are vibrational beings in a material body, let´s dance the song. Everything in the human body and nature operates on consistency, everything has its place. When any part of your body is not vibrating in harmony with itself or with others, emotional imbalance occurs. Certain sounds and resonance vibrations can return the lost harmony to our body. 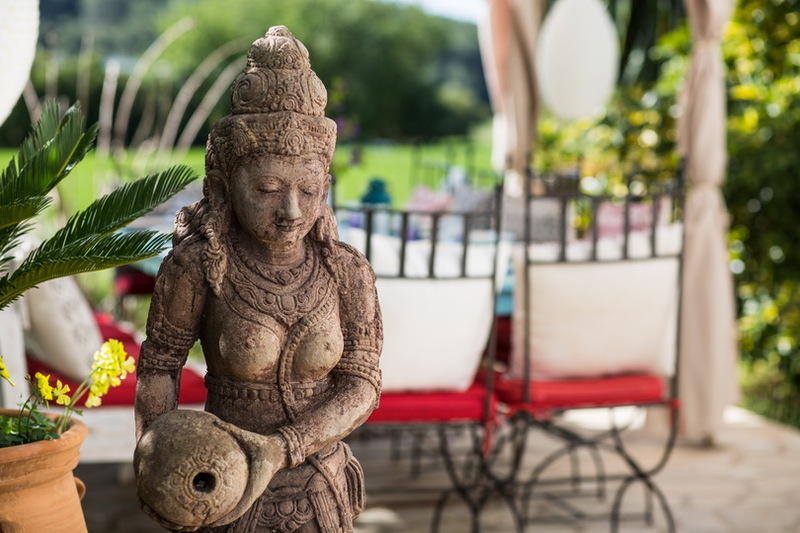 This yogaretreat is suitable for all levels. You don’t have to be practising yoga already, you don’t have to sing, dance or be good at anything. If you like music, singing, moving your body and are open to nice sound treatments you are welcome. 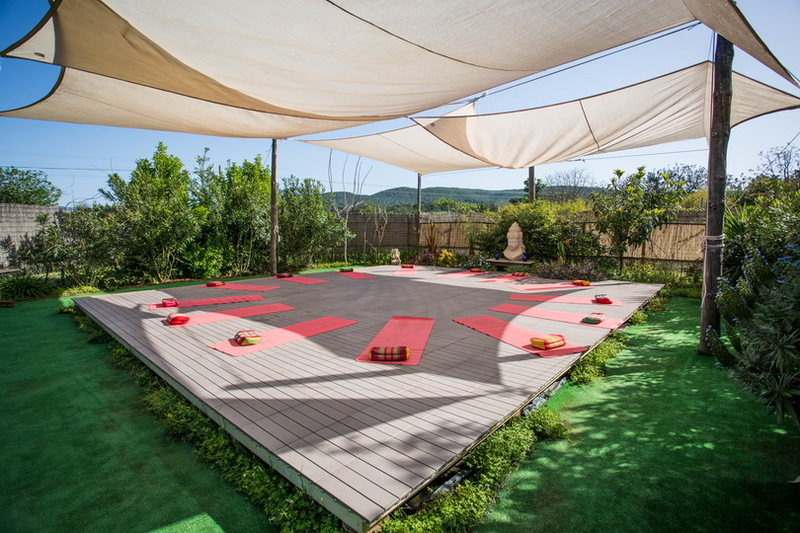 This retreat is about connecting with yourself, others and the Ibiza nature. 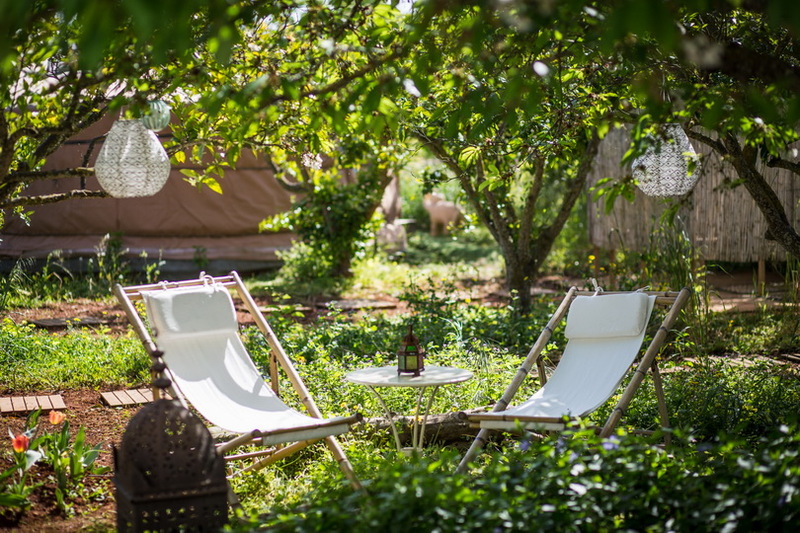 It is about exploring and spoiling all your senses. It is about beautiful experiences, joy, happiness, health and fun. All this in a beautiful harmonizing environment and healthy food. 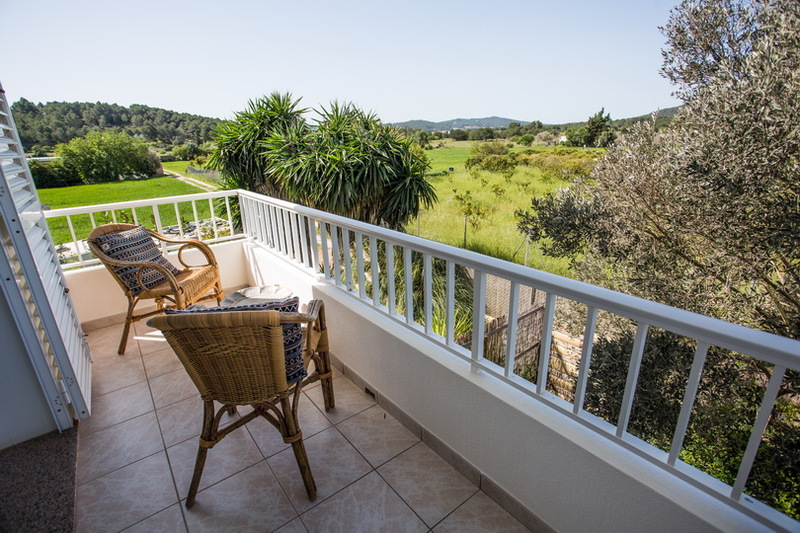 About connecting with nature and the Ibiza magic. This retreat is about you. 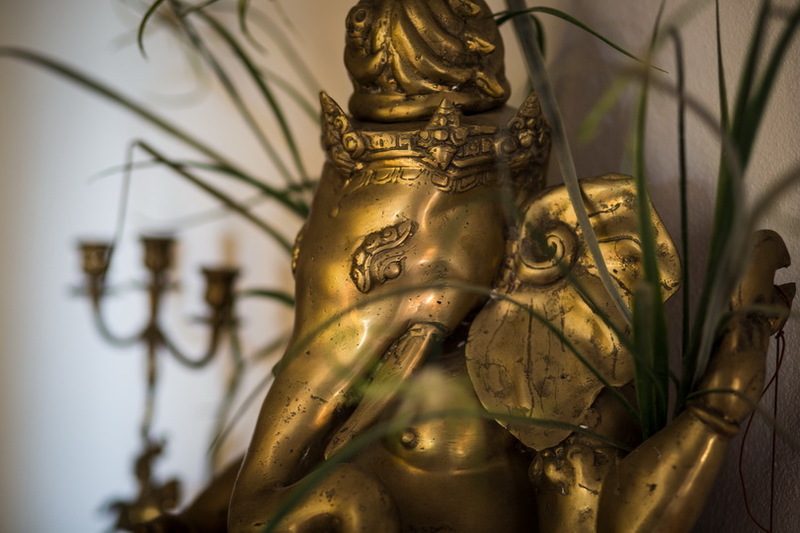 Give your trust in our hands and we will give you a beautiful nourishing unique experience. 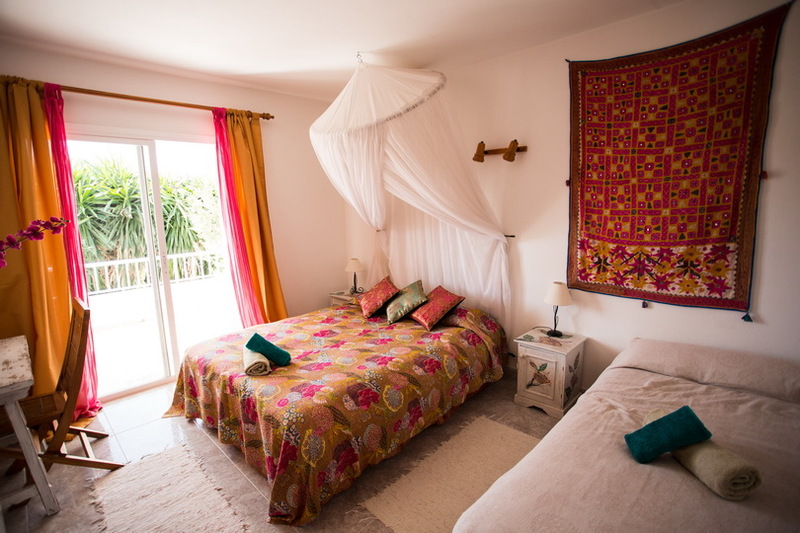 In your free time you can go to markets, beaches, Ibiza town, walking or maybe other wishes we can help you with. Its nice to rent a car so you can move around and you are free to explore the Island.